The other day a friend and I were talking. She said "All I want is to be happy." "And what would make you really happy?" I asked. She thought for two minutes and then discovered she really did not know! "Shopping? Watching a movie? Partying? What is it?" I persisted. Ever since I have turned into a full time author, the motivation behind people's inclination to do (or not do) certain things intrigue me more than ever before. She said that all of it was important, but the happiness those things gave her were only temporary. "But happiness indeed is a temporary emotion," I said, the quasi-philosophical streak in me, making its guest appearance, sensing an opportune moment. We concluded that we can be content even if we cannot be happy all the time. And a positive attitude really adds spark to life. And if you want to know which one you are, I suggest you take this personality quiz. Irrespective of whether you are a Tigger or a Pooh-bear, there are definitely a few things we can do to lead a more fulfilling, happy life. Just as physical exercise is a tonic for the body, hobbies are indeed 'necessary medicine' for a stressed out mind. It clears fatigue, leaves you in a calmer state of mind and who knows it can even be an alternate career! Really. Not kidding. Some people do leave us feeling great. It is wonderful to be around people whose outlook is cheery and upbeat. Almost all of us can think of that one person, talking to whom instantly lifts our spirits. Associate with more such people and seek their company. While at workplace, we cannot really control who we have to deal with, we can indeed focus on our reaction towards the 'grouches'. Give them a warm smile--especially if they do not deserve it. (Yeah, hard I know, when all you feel like doing is smashing that file on their heads). But a smile truly helps. Clutter is something that makes me unhappy. I like neat happy spaces. I love plants and flowers. I love books. I love Art. So I have done up my home accordingly. and I TREASURE one specific original piece of art which he gifted me, which took him more than 150 hours to make. It also has a paintings by other artist friends who gifted me their original work , apart from a few other personal things which make me happy. Needless to say, this room also houses my beloved antique writing desk and all my art stuff, apart from a comfy couch which opens out to become a cozy bed. The entire room is done is calming shades of blue. This room is my sacred space and it is solely mine. Create a space for yourself which is your alone. 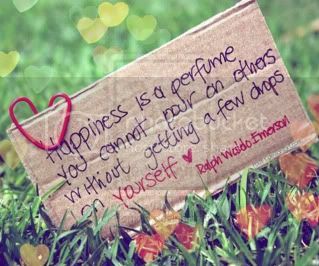 It is an investment for your happiness. Health is indeed wealth. Invest in it. Hard work, I know but it will pay rich dividends in later life. When I think about my friends in their sixties and seventies who have energy levels which is more than people half their age have, I am so motivated to be like them. A common thing they all have--they are very conscious of their physical health and are all really fit. Your body is a temple which houses your soul. (sorry if that is profound). Take care of it and it will serve you well. The basic thing I am trying to say is we can only do so much and there is only that much which is in our control really. The faster we accept that and faster we let go, happier we will be. ps: My third book 'Tea for two and a piece of cake' is number two on Asian Age top selling fiction list. Indeed true. The bottom line is, be optimistic to every changes that come our way. I am an ardent fan of Hemingway (among others) and if you have read his works, you'll know what I mean. Happiness is a riddle, indeed. It is good be reminded often that Letting go is one important thing to be happy, though a tough one. Letting go is something which is very difficult, and something I am learning to imbibe within me. Btw, I am a kanga ! Awesome post!! And so rightly said, on each point! I couldn't not comment to this one. The quiz is such a cute idea. In recent years I've been thinking of myself as an Eeyore, but guess what? I'm a Pooh! Same as you! Yay!! Very nice post. Once again, I'm thinking, "how the hell are you so positive ALL the time?" 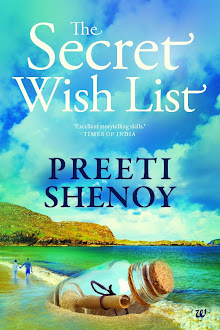 I have always been a fan of your writing Preethi. But this Let Go really took me to heaven. Hats off and you are such a great person. a separate room for your ART...wow..!!! That sounds amazing..a place which is surrounded by books...and paintings...and some soft music...perfect..!!! As you might be aware already that I am a huge fan of yours.. I also look forward to each post of yours which sometimes looks tailormade for me... well today I am bothering you with one small personal request.. I know you are a very busy person...but this is for my daughter.. My elder daughter is 10 years old and she writes beautiful poetry and sometimes small pieces of writing akin to essays.. I am really interested if there is magazing where I can get her work published and give her some more encouragement.. I tried 'Children's world', which I used to read regularly when I was a child but could not get any information at all. I would be greatful to you for your advise..
Abhinav: have not read yours. Soul speaks: best bet would be her school mag! Gayu: Thank you! and stay positive! 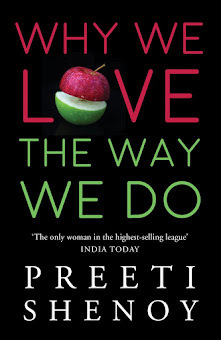 "Let go ": most inspirational i have heard in recent times.I feel proud to have known and read such awesome writer as you mam , no exaggeration as i say this believe me. I wonder will i ever be able to meet you in person. If at all , then i can't tell how happy and blessed i would feel. Wish you most blissful moments in your life mam. -Ardent fan of yours:- Sachin Kr Singh. Great.The 5 points very essential.In one and the same incident and one and the same person some may find piece and content and some some others discontent.